BRIAN TO INVESTIGATE VICTORIAN 3D IMAGES AT DMU! 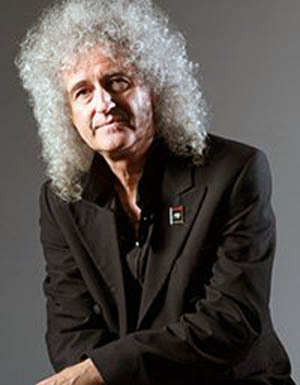 Brian May is best known as a founding member of Queen, a world-renowned guitarist, songwriter, producer and performer. But he is also a life-long collector of stereo cards, which are one of the earliest examples of 3D imagery, popular in Victorian times. This passion led him to unite with fellow stereoscopic experts Denis Pellerin, who is a doctoral researcher at DMU’s Photographic History Centre, and Paula Richardson Fleming, to investigate Diableries, a 3D view of the underworld hugely popular throughout the 1860s. They have produced a new book DIABLERIES: Stereoscopic Adventures in Hell, which brings together all but two of the Diableries cards in existence. At this EXCLUSIVE DMU lecture and book signing, held on Thursday 7 November at 4.30pm in the Hugh Aston Building, the three authors will take you on a dark journey to a fantastic imaginary underworld of devils, satyrs and skeletons and explore the intricacies of 19th century political and cultural life through the magic of stereoscopy. The lecture will last approximately one hour and will include a question and answer session with the three authors. The book signing will follow the lecture. Books will be available to buy on site. If you would like to attend, please come to Clephan 0.30 to sign up and collect your exclusive lenticular ticket by no later than midday on Tuesday 5 November.